Emily Bain Murphy’s The Disappearances overflows with marvels, literary and actual. The death of her mother forces Aila and her brother Miles to move to her mother’s hometown. Once there, Aila is immediately enmeshed in mysteries. Why do the people of Sterling hate her mother, and by extension, Aila and her brother? And why do the townspeople lose every seven years another human ability: to dream, to see the stars, and to hear music? Aila’s quest into her mother’s past gives us readers the chance to appreciate small-town America in WWII, teen romance, magic, and—most mysteriously!—the poetry of William Shakespeare. 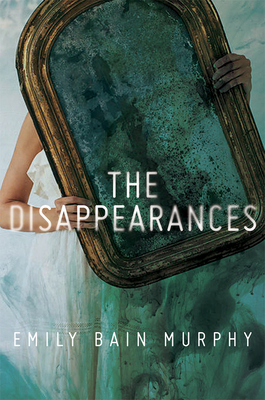 The Disappearances is a highly original and accomplished debut. Emily Bain Murphy was born in Indiana and raised in Hong Kong and Japan. She graduated from Tufts University and has also called Massachusetts, Connecticut, and California home. She is the author of The Disappearances and lives in the St. Louis area with her husband and two children.